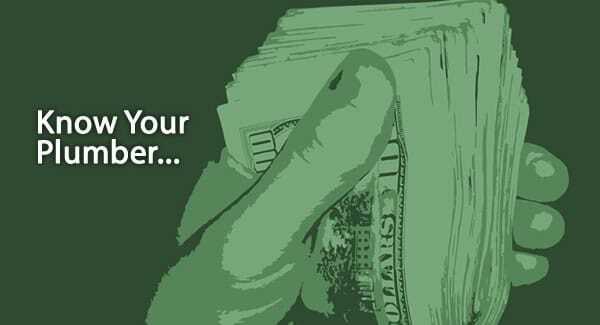 Plumbing Tips - Poole's Plumbing, Inc.
Raleigh Plumber providing tips and things to look out for when hiring a reputable plumber. 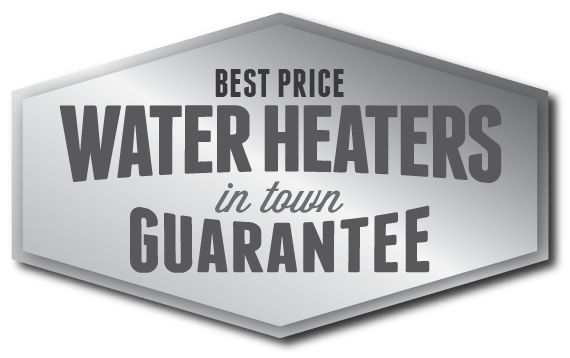 In the ongoing quest of the most trusted name in Raleigh plumbers, Poole’s Plumbing to help you better learn and in turn save and conserve water, we will answer a few questions that many consumers have, based upon one main uncertainty these same people may have, What exactly is a High Efficiency Washing Machine and what exactly are the savings that I can enjoy in purchasing one? Basically, to answer the main question on High Efficiency Washing Machines, they are a washer which uses different technological features to simply help reduce not only the amount of water needed per load of laundry you do, but in addition they also cut down on the amount of energy used as well. Thus, through the Poole’s Plumbing tips and suggestions that we have continued to talk about through our blog posts, a High Efficiency Washing Machine does exactly what we have been trying to help you (the consumer) to do, and that is conserve and save. Following up the first question with another question, the obvious next thing that a customer would want to know is, how much is conserved or saved through the usage of a High Efficiency Washing Machine? 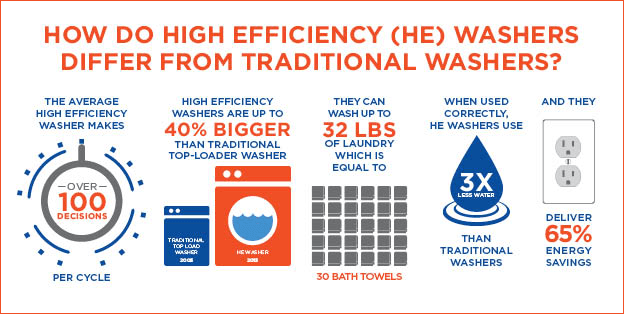 This answer is actually pretty staggering, as on average, a High Efficiency Washing Machine uses up to 80 percent less water than traditional top-loading units. Not only is that a huge figure when you think about how much water would actually be conserved, but in the savings department, a High Efficiency Washing Machine also comes in at about a 65 percent average energy savings. On top of these two facts, which basically equals less water usage, less energy usage, and as a direct result you saving money, the energy savings allows for you to be able to wash more laundry per load and these type units are about 40 percent larger and old up to 40 percent more clothes than a standard washing machine unit would. So, basically, to answer the initial question of ,what is a High Efficiency Washing Machine? 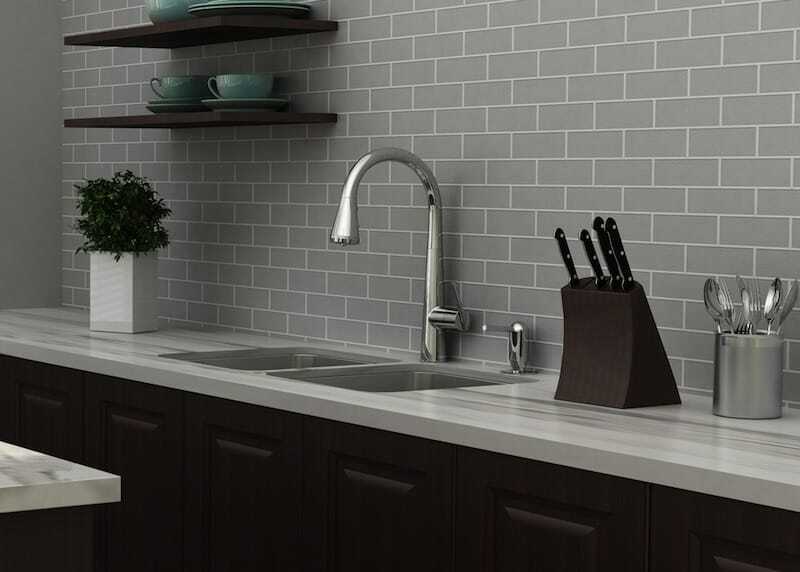 It is an item that can do the exact two things that the Raleigh plumbing experts at Poole’s Plumbing have been trying to help and educate you to do through their tips and advise, conserve and save. https://www.poolesplumbing.com/wp-content/uploads/Laundry-Room-Water-Conservation-Tips-Pooles-Plumbing.png 314 624 raleigh plumbers https://www.poolesplumbing.com/assets/Pooles-logos_03.png raleigh plumbers2018-05-14 08:00:592019-03-19 07:57:27How Will I Save with a High Efficiency Washing Machine?